Repossession is pretty much a worst-case scenario when it comes to credit. But how do you find yourself in this predicament? More importantly, how can you avoid repossession — even in light of financial hardship? 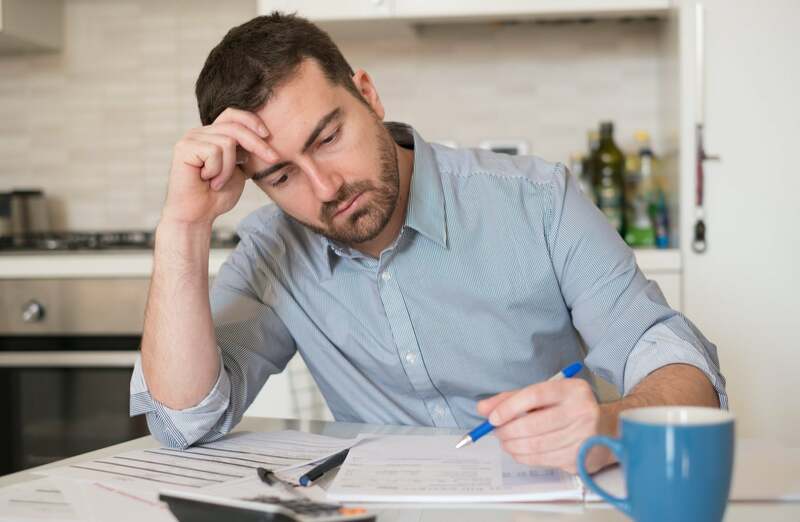 Luckily, with a good understanding of the repossession process and few money-saving tips in your back pocket, you can avoid the scenario of defaulting on a loan and preserve your credit score along the way. First, it’s important to note that repossession is not a uniform process. The laws and procedures of repossession depend on state legislature. Visit the Attorneys General website of your specific state for a thorough overview of the law. State law can impact important repossession elements such as whether you are given a notice or not, grace period length, and auction processes. A bank or lender may repossess property bought with a secured loan, such as a car or house, if you are delinquent on bill payments for a predetermined amount of time. Repossessed property is then sold or auctioned to make up the amount you owed. In most cases, the property is sold way under market value, and you will still be responsible for the remaining loan balance after the sale. The remaining loan balance is called a deficiency, and if you are unable to pay it, the bill could be sent to a collection agency. The collection agency can sue you in court and get a judgement against you, which may lead to wage garnishment. Not only will repossession set you back financially and result in a loss of property, but it is basically proof of your inability to pay off a loan. Lenders assess the likelihood of you repaying a loan by checking your credit score. Something as dramatic as repossession will knock many points off your credit score, which will be hard to earn back. Even if the debt is paid in full, credit bureaus will continue to report the repossession on your credit reports for seven years. Unfortunately, the negative credit ramifications of repossession may not stop there. After the repossession, the collection actions and judgements from the deficiency may be reported to the credit bureaus. Also, leading up to the repossession, the long history of 30, 60 and 90 day late payments to get you to that point may be on your credit reports. These can ding your credit score by up to 100 points. A repossession signals to future lenders that you are a high risk of defaulting on a loan, which compromises your chances of ideal rates, or even approval, for future loans and credit. Therefore, it’s a good idea to avoid repossession at all costs. Sell your car — If you are close to repossession on a car loan, it’s best to get ahead by selling the car on your own if possible. Cars that are repossessed and auctioned off go for a far lower price than a car sold independently. If you are late on payments you will have to use the sales profit to get right with the loan before you can get the title to give to the new owner. Simply ask for a break — This one might sound crazy, but sometimes merely asking your bank to skip a payment to get back on your feet can work. Interest will continue to accrue, and you will essentially just be delaying the inevitable, but banks will generally allow you to skip two payments in order to play catch-up if you really need it. Refinance — If you have pretty good credit, you might be able to refinance the loan. You could end up paying on the loan longer but paying less each month. Of course this option is contingent on your existing credit score. If you need a credit score makeover, consider partnering with a professional credit repair service to review your credit reports and ensure your reports are fair and accurate. It can also help you resolve inaccurate or unfairly reported items. This can boost your FICO score and help obtain that much-needed loan refinance. Don’t let repossession loom over you and potentially ruin your credit score. If you need help, Lexington Law Firm’s credit repair services can help. Lexington Law has a proven history of efficiency — removing an average of 24 percent of negative report items for its clients within the first four months (results vary). Contact Lexington Law Firm to learn more about getting your finances back on track with professional credit repair. This entry was posted in Negative Items and tagged Credit Repair, repossession. Bookmark the permalink.